What did the writer of Genesis mean by the first day? Is it a literal week or a series of time periods? If I believe that the earth is 4.5 billion years old, am I denying the authority of Scripture?In response to the continuing controversy over the interpretation of the creation narrative in Genesis, John Lennox proposes a succinct method of reading and interpreting the first chapters of Genesis without discounting either science or Scripture. With examples from history, a brief but thorough exploration of the major interpretations, and a look into the particular significance of the creation of human beings, Lennox suggests that Christians can heed modern scientific knowledge while staying faithful to the biblical narrative. He moves beyond a simple response to the controversy, insisting that Genesis teaches us far more about the God of Jesus Christ and about Gods intention for creation than it does about the age of the earth. With this book, Lennox offers a careful yet accessible introduction to a scientifically-savvy, theologically-astute, and Scripturally faithful interpretation of Genesis. Seven Days That Divide The World by John C. Lennox was published by Zondervan in August 2011 and is our 15495th best seller. 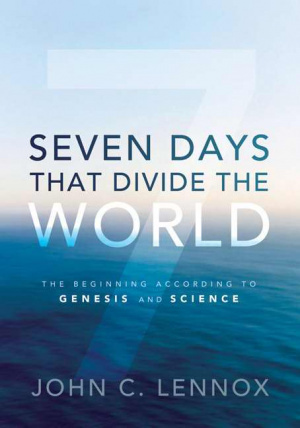 The ISBN for Seven Days That Divide The World is 9780310492177. Be the first to review Seven Days That Divide The World!